It is said that films are actually made on the Editor's table. But are they really? How important really is the activity of Editing in the overall schema of Film making? Francis Ford Coppola Says "The essence of cinema is in editing. It's the combination of what can be very ordinary images of things and people put together in a kind of extraordinary alchemy." Alejandro Inarritu says "Movies become art only after editing. Instead of just reproducing reality, they create a new one by the pure juxtaposition of images. That implies expression; that's art." For years, Editing was considered an invisible Art. But nowadays, neither is Editing nor are Editors invisible. It is now acknowledged as a full blown art form in itself. So How does an Editor think? What are his/her decision -making and artistic processes? and what kind of emotional, intellectual and technical preparations does an Editor need? We are delighted to invite Sankalp Meshram - The Compassionate Cutter - who wears the dual hats of editor and director, to Mumbai Local. For him -"Editing is the actual act of Film making. The stylistic form, the rhythm, the sensual experience, and the many layers of meaning - only emerge during Editing." Shooting a film, according to Sankalp, is only about "gathering as much material as one can, by casting a wider and wider net of possibilities. Eventually the form you create, will emerge from a series of epiphanies or unpredictable accidents on the editing table and will hopefully be completely different from the jejune ideas you started out with." We will travel with the Five time National Award winning Writer, Director, Editor & Producer Sankalp Meshram in this exciting and artistic journey. He says that unlike post-modern artists who feel that its too passé to look for meaning in todays world - he is committed to finding "both meaning and beauty in art". He will share with us his learnings and un-learnings, his challenges and discoveries, with examples from his his many award-winning films on Girija Devi, Alarmel Valli and Charles Correa. If we are lucky, he will also give us an insight into the new film that he is working on. Sankalp Meshram was born in Nagpur in 1966. He was brought up in Gwalior, Calcutta and Goa. He graduated from Sydenham College, Mumbai and went on to do Law Post Graduation from the Government Law College, Mumbai. He then did the Postgraduate diploma course in Film Editing from the Film and Television Institute, Pune in 1994. He has been practicing as a Writer, Producer, Director and Editor of films in Mumbai for the last 24 years. Completing more than 150 film projects. He has received Five National Awards apart from many other Citations and Awards from other forums. He has been involved in all kinds of films in both Fiction and Non Fiction. He has Co-Created Art Installations by N Pushpamala, Archana Hande, Shankuntala Kulkarni and many other Renowned Artists. The Art Installation called Paris Autumn Co – Created with N Pushpamala is on the permanent display at the prestigious Centre-Pompidou Gallery in Paris. He has Edited the Feature Films ‘Katha Don Ganpatraonchi’, ‘Raat Gayi Baat Gayi, Mirch, Pappu Can’t Dance Saala, Utt Patang, Jaanisar, T for Taj Mahal, Man Beyond the bridge and Baga Beach. He has directed many Popular Television shows like ‘Surabhi’, ‘Kaliedoscope’, ‘Good Food Guide, ‘Dil Deke Dekho’, ‘Happy Go Lucky’, MTV Film Fraud Awards and MTV Filmi Fundas. In 2001, He received the National Award for Best Editing for the documentary film ‘Lokapriya’ – Directed by Arun Khopkar. In 2005, He wrote and directed a Feature Film titled ‘Chhutkan Ki Mahabharat’ for which he received the National Award as Director in the Best Children’s Film category. The film has been shown in more than 100 film festivals all over the world. In 2006 he received the IDPA award for best editor for the film Riding Solo to the top of the world. The film has subsequently won more than 35 international awards In 2012, He received two National Awards as Producer and Director for the Documentary film ‘Lasya Kavya – The world of Alarmel Valli’ in the category for Best film on Art and Culture. The film has also been shown in more than 35 international festivals. In 2013, He wrote and directed a film on Charles Correa’s Architecture titled Into the Unknown. The film was shown at the opening ceremony of Charles Correa’s Exhibition at London titled India’s greatest Architect. The film has subseqently been shown in more than thirty film festivals. 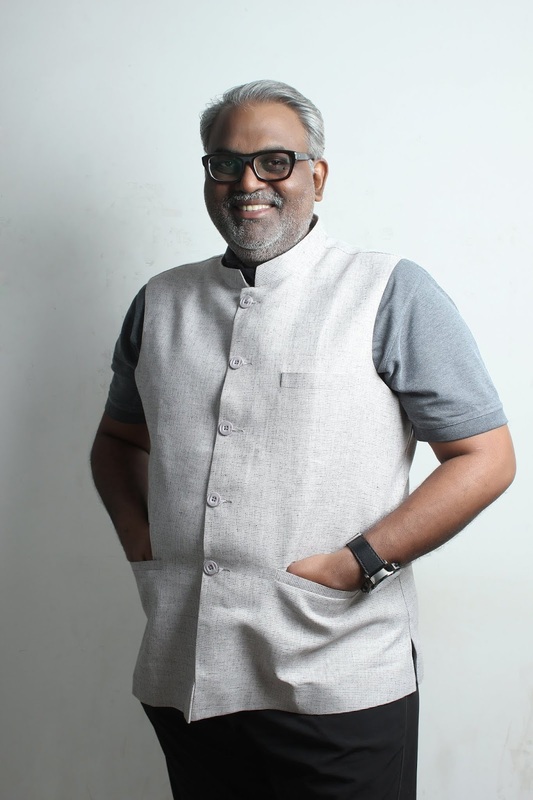 In 2018 He received The National Award for the Documentary film ‘Girija – a Lifetime in music’ as Director in the category for Best film on Art and Culture. The film has won three international awards to date. Sankalp Meshram is also deeply interested in Music. He learnt the Tabla for ten years from the Madho Music College at Gwalior. He can also play the Djembe, Harmonium, Keyboards, Flute, Spanish Guitar and the Mouth Organ. He also sometimes sings Semi Indian Classical Vocal Music. He can speak seven Indian Languages – Hindi, Bengali, Marathi, Konkani, Gujarati, Bundelkhandi and English. He is deeply interested in Philosophy, Linguistics, Science, Poetry and Mysticism.